Why Choose an AisleMaster articulated truck? 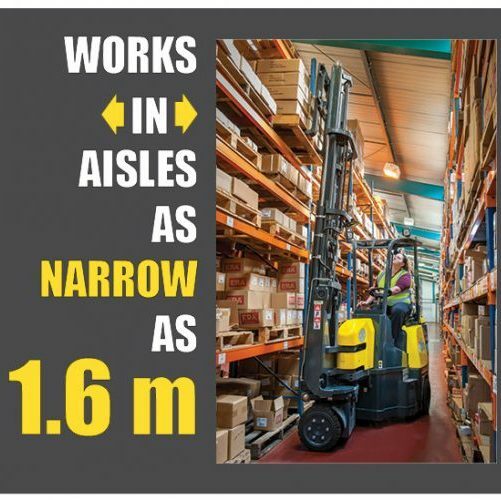 With the ability to operate in very narrow aisles in the warehouse – as narrow as 1.6m – the Aisle-Master articulated forklift increases and maximises storage capacity. 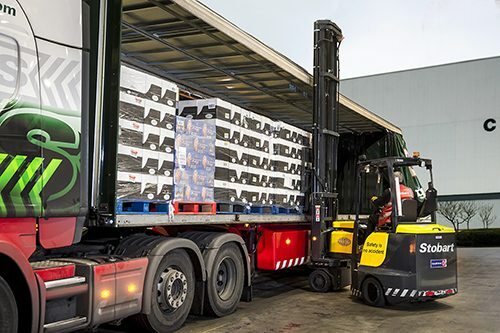 What’s more, by using the one truck, users can increase productivity and eliminate time-consuming double handling and speed up “truck to rack” operations. 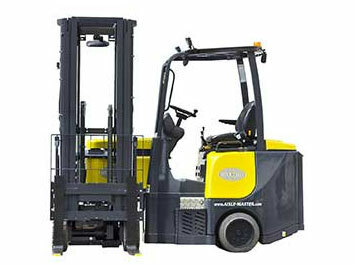 All contribute to higher productivity and better, more efficient use of available warehouse capacity. 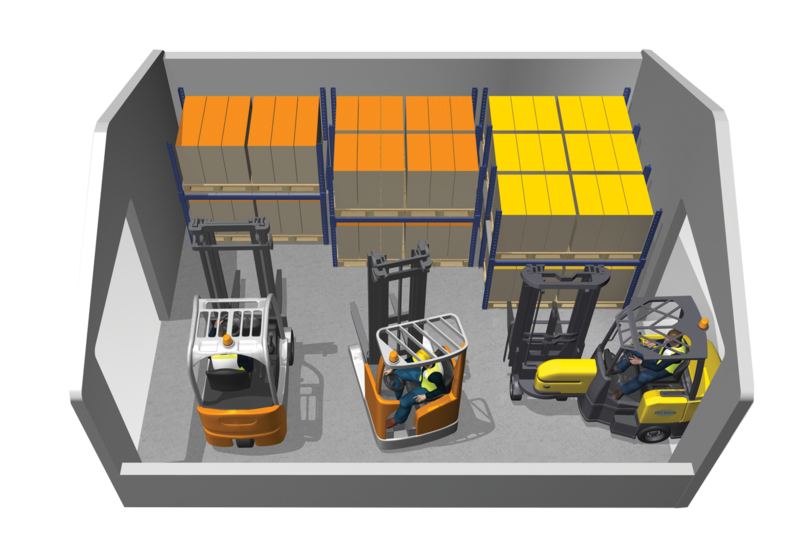 When you require additional warehouse space, you have two options ­– extend your existing facility or move premises. With an Aisle-Master articulated forklift, you have a third option. By optimising your racking layout and reducing aisle widths down to as little as 1.6 m, you can dramatically increase your storage capacity within your existing facility.Greater reach and capacity means an increase in warehouse storage by 50% and lowering costs. Reduce Costs with more efficient offloading, handling and storage. 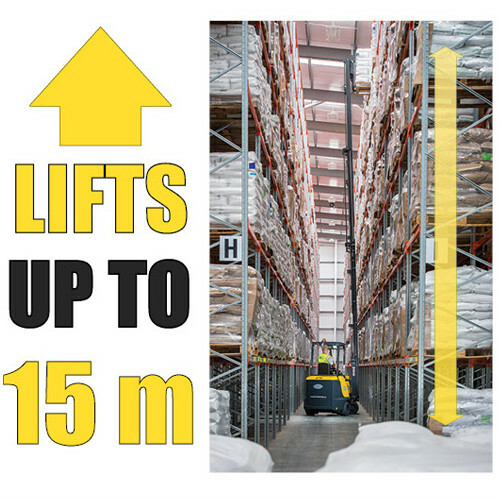 Each truck lifts to heights up to 15m, offers VNA operation in aisle-widths of just 1.6 m and has impressive load/lift capacity of up to 2.5t, increasing warehouse storage by 50% and lowering costs. 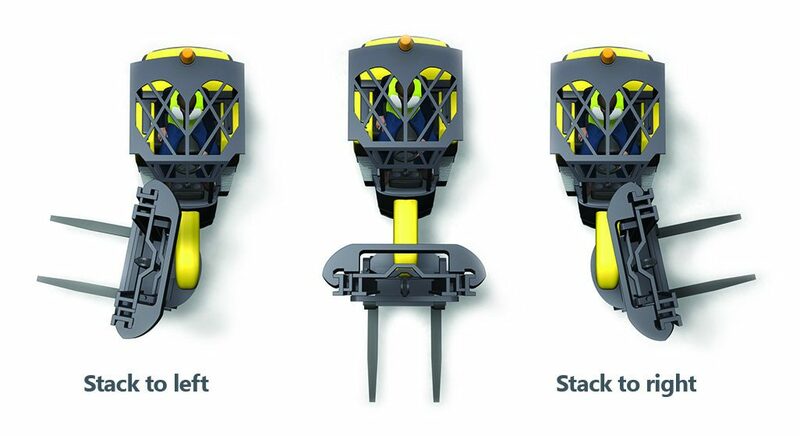 Each VNA truck can operate on any floor surface, both inside and out, eliminating the need for both reach and counterbalance machines, minimising costs. Effortlessly save time and money with the one truck transporting loads from trailer to racking position in a single operation. Thanks to the large rubber tyres, operators can make light work of loading and offloading in semi-rough yards while enjoying a smooth ride regardless of the terrain, eliminating the need for both reach and counterbalance machines, thus minimising costs. Aisle-Master trucks are tough, versatile and built to last. High quality, robust construction of chassis and mast means Aisle-Master are designed to withstand heavy-duty use inside and out. 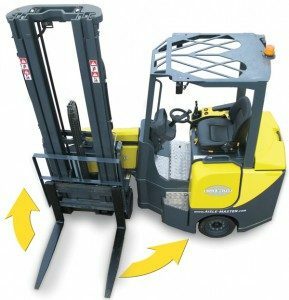 Each robust VNA, articulated forklift truck is manufactured to the highest standards using high-grade steel and castings and distributed from our global headquarters in Ireland. All Aisle-Master products are uniquely factory backed by a 5-year or 5,000 hours parts warranty as standard, giving you total peace of mind across the life of your truck and ensuring lowest total cost of ownership.